Boston Manor House, in Brentford, is a Grade I Listed, Jacobean manor-house with its oldest parts dating back to 1623 when it was built for Lady Mary Reade and her second husband Sir Edward Spencer. The house is one of the earliest examples of the English Renaissance style. The heritage restoration project entitled ‘Boston Manor: Engaging with the 21st Century’, aims to fully restore the Grade I listed Boston Manor House, currently on the ‘Heritage at Risk’ Register, to its former glory, while equipping it to meet the needs of the modern day. The works will include structural and building repairs and the installation of a lift to improve accessibility to all parts of the house. Additionally, the Temple Trust, a landscape history charity, proposes to open its first ever public premises - an office and research facility - in the Service Wing of the House from 2021. Visitors to Boston Manor House will have an improved experience through better resources and displays depicting stories of the manor house and the people who passed through it over its 400-year history. A dedicated temporary exhibition space will ensure that there’s always something new for visitors to see, along with the addition of a new café and shop area. The restoration project works will mean the closure of Boston Manor House to the public for two years starting in early 2019, with the house due to reopen in spring 2021. The HLF is also supporting an educational and activity programme, due to start in the community while the house is being restored. There will be new activity programmes for families and opportunities for more volunteers to get involved in the project and running of the house. 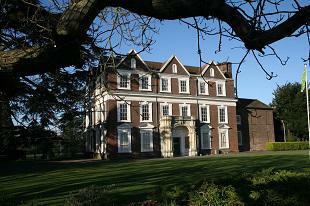 The house and grounds were bought by the local council in the 1920s and for a time the house was used as a school. Some of the rooms were previously restored and have been open to the public seasonally since the 1960s. “I am thrilled Boston Manor has been awarded £3.7m National Lottery funding. Heritage makes a huge difference to people and the places they live. It will be exciting to see how this fantastic project progresses and the positive effect it has on the local community now that funding has been confirmed.